I’ve made a Birthday card for you this time. 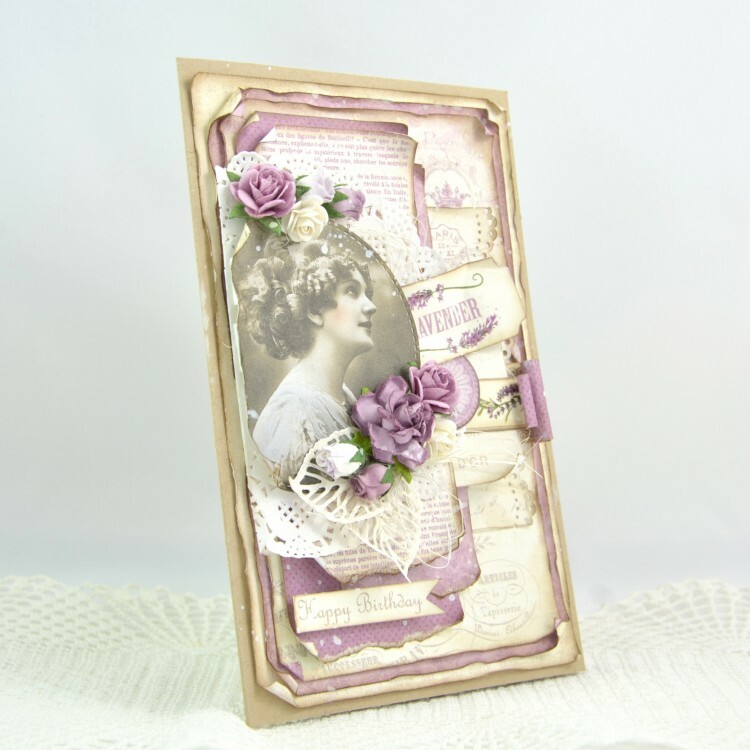 The Scent of Lavender collection is amazing, and the lovely vintage photo from “From Grandma’s Attic ” gives the card a true romantic shabby feeling. I send you love and creative thoughts!